Last year’s football season was undoubtedly disappointing for the University of Wisconsin. Coming into the season ranked No. 4 in the nation and returning the previous starting quarterback, running back and offensive line, it seemed as if the stage was set for a successful 2018 campaign. 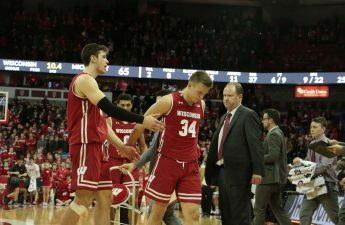 Marred by injury and poor play, the Badgers never managed to achieve the expected level of success and failed to even capture the Big Ten West title. 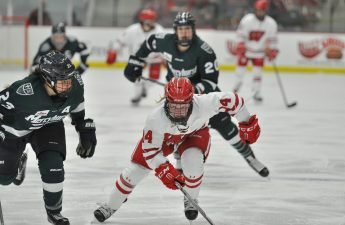 But, a new season brings new opportunities and new players, so how does the recruiting classes of the top teams in the Big Ten West shake things up? Beginning with Wisconsin, it would be impossible to ignore the signing of four-star quarterback Graham Mertz to play for the Badgers in 2019. Mertz put up record numbers at the Army All-American game and put up high school numbers that grabbed the attention of power-five teams around the nation. 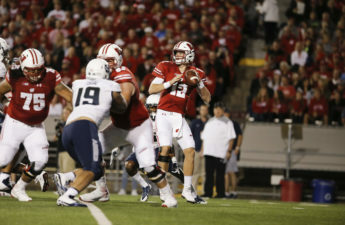 It is even more likely that Mertz will see significant time this season following the decision by former starting quarterback Alex Hornibrook to enter the transfer portal for the 2019 season. The Badgers desperately need help with their air threat, as they ranked dead last in the Big Ten West in average pass yards per game, ending the season with an average of only 158. Also joining the Badgers passing game are three-star tight ends Hayden Rucci and Clay Cundiff as well as three-star wide receiver Stephan Bracey. Part of the reason that the Badgers struggled so much passing the ball is that they were able to reliably count on Jonathan Taylor and their offensive line to put up huge numbers rushing. In fact, Wisconsin finished the 2018 season ranked first in the Big Ten and sixth in the nation for rushing yards per game as well as yards per attempt. Taylor returns but much of the Badgers all-star lineup at offensive line graduated. Luckily for Wisconsin, they were able to snag five-star offensive tackle Logan Brown out of Grand Rapids Michigan. The 6-foot-6, 305-pound tackle is the highest ranked signee in Wisconsin’s 2019 recruiting class and is the second highest ranked recruit in Wisconsin football history. The Badgers also add a plethora of three and four-star offensive lineman in order to completely reload on talent following the departure of this year’s graduating class. 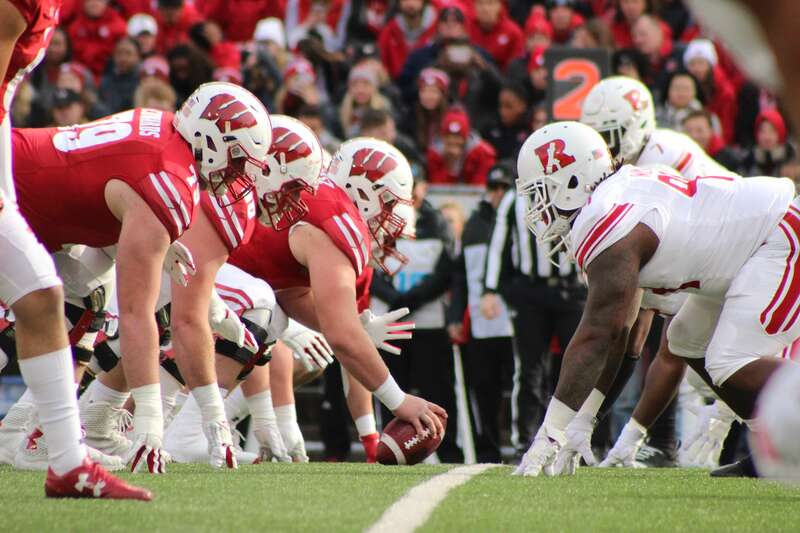 With significant additions made to both skilled positions and the offensive line, the Badgers certainly seem to have begun the process of filling the offensive gaps that haunted them last season. For last year’s Big Ten West Champions, Northwestern, the recruiting class is unsurprisingly weak. Pat Fitzgerald has consistently coached his way to Big Ten success despite the fact that Northwestern never managed to procure a highly ranked recruiting class within the conference. Since 2015, the Wildcats’ recruiting classes have ranked outside of the top ten in the conference each year. In that same time period, they signed a total of just two four-star recruits. Yet the Wildcats came out on top of the Big Ten West last season and missed out on one of New Year’s six bowl games due only to a loss against Ohio State in the Big Ten championship game. The Wildcats relied heavily on their passing game last season, as they finished the year in last place for total rushing yards and third for total passing yards within the Big Ten. Their 2019 recruiting class continues this focus of the air attack, as their two highest ranked recruits are three-star wide receivers Genson Hooper-Price and Bryce Kirtz. As shown by last season, Northwestern is able to play with an ability greater than the sum of all its individual parts. It’s difficult to assess what type of actual impact a recruiting class will have on their team, but look for them to continue to thrive in the air next season with returning quarterback Clayton Thorson at the helm. The Purdue Boilermakers have managed to obtain the fifth-ranked recruiting class in the Big Ten and the highest ranked class in the Big Ten West for the 2019 season. This level of talent in a single recruiting class is uncharted territory for Purdue in recent years. Between 2015 and 2017, the Boilermakers had the lowest ranked recruiting class in the Big Ten. Purdue struggled all of last season to stop their opponents run game. They allowed more rushing yards than every team in the Big Ten West except for Nebraska and Illinois — two of the bottom three teams in the West. Their top recruit of this year should help to alleviate their defensive woes against the run. George Karlaftis, a four-star, 6-foot-4, 265-pound defensive end from West Lafayette will join his hometown Boilermakers for the 2019 season. Purdue also made valuable additions to their skill positions in the form of four-star wide receivers David Bell and Milton Wright. Purdue was second in the Big Ten in both passing yards per game and pass yards per attempt during the 2018 season. With the loss of starting quarterback David Blough, Purdue’s new recruits, as well as existing talents, will have to aid their greenhorn quarterback if they are to repeat last season’s performance. Finally, Iowa will enter the 2019 season with the ninth-ranked recruiting class in the Big Ten. The Hawkeyes’ defense dominated their opponents all season long, as they allowed a conference-low 17.77 points per game. Their offensive line also protected their quarterback better than any other team in the conference, allowing only 13 sacks across the entire season. The Hawkeyes are sticking to their guns with their most recent recruiting class, as all of their top four recruits are either linebackers or offensive guards. Iowa is reloading in the trenches, staying true to their traditional style of Big Ten football. It’s tough to tell what type of specific impact these recruits will have on the landscape of the Big Ten West in the 2019 season. But a plethora of star recruits is certain to bring new talents to the conference as well as replace graduating ones. 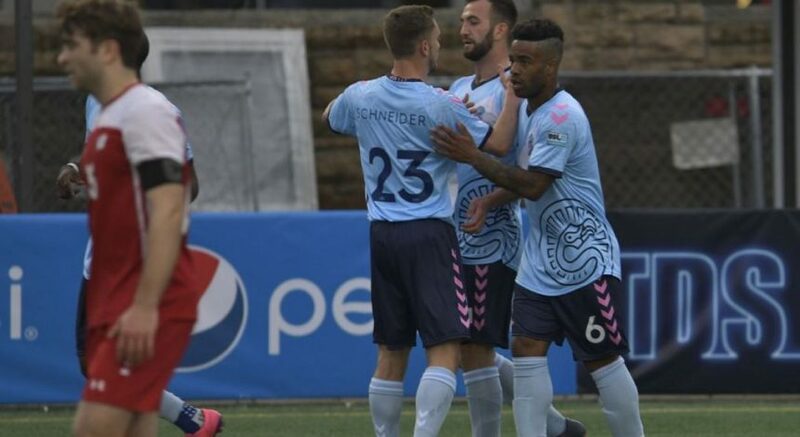 Only time will tell how these new signees will pan out in their respective programs, but it seems as if competition in the West is going to become a lot stiffer in the coming years.